A ritual cave has been discovered beneath the ancient Maya city of Chichen Itza. 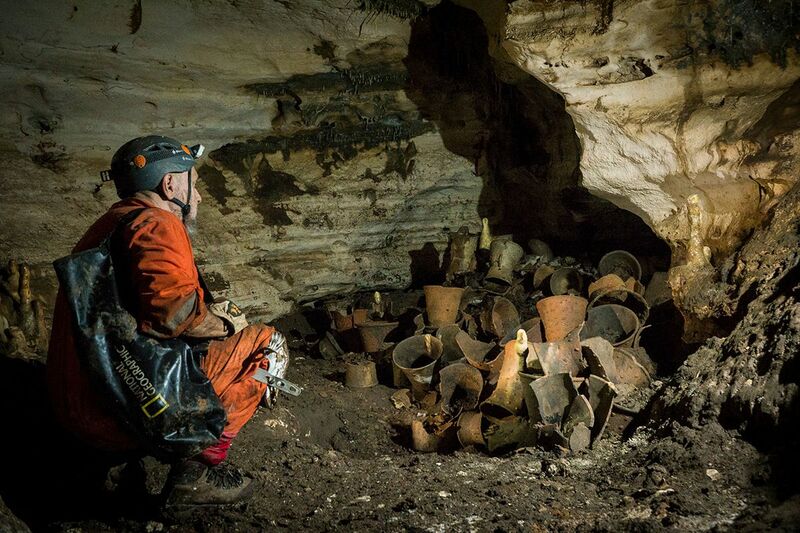 Archaeologists found more than 150 objects relating to ritual practices in the cave, which they said had been untouched for more than 1,000 years. The expedition, which was partly funded by a grant from the National Geographic Society, was led by Nat Geo explorer Guillermo de Anda and a team from the Great Maya Aquiver Project. De Anda came across the cave while looking for a sacred well beneath the city on Mexico’s Yucatán Peninsula. The cave system, called Balamku ("Cave of the Jaguar God") was found by farmers in 1966 and visited by archaeologist Víctor Segovia Pinto. At the time he said there were archaeological artifacts down there. However, instead of exploring further, he ordered the farmers to seal up the cave—and it remained that way until last year. 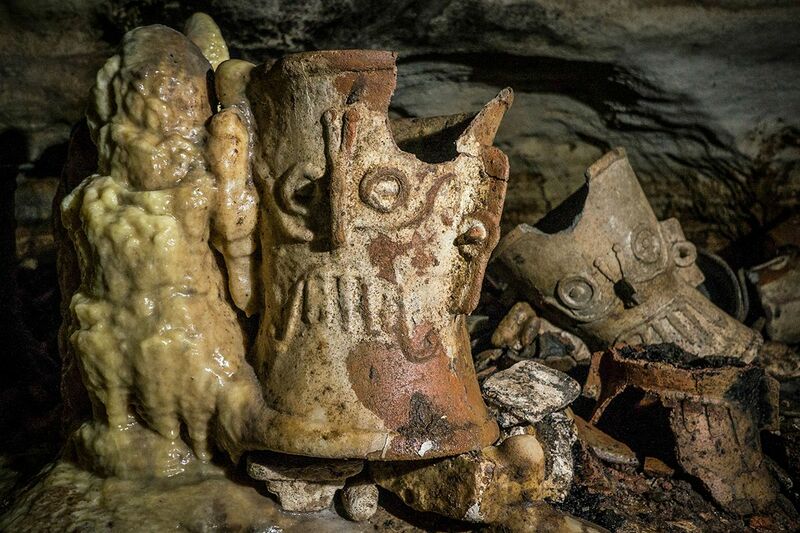 Ritual objects, including vases, incense burners and decorated plates, were found in a series of cave chambers. Researchers believe these objects will provide vital clues about the rise and fall of the city—and indeed the civilization itself. In total, 155 artifacts have so far been identified. One was found to have the face of the rain god Tlaloc, while another had markings representing the Maya universe—the symbolic ceiba tree. The Maya civilization existed between 2,000 BCE and the 1600s, with the arrival of European conquests. It had started to decline hundreds of years earlier, however. During the eighth or ninth century, there was a collapse and cities started to be abandoned. Chichen Itza was one of the biggest and most diverse of the Maya cities, peaking between the ninth and 13th centuries. According to UNESCO, there were no major monuments built after the 13th century, and it rapidly declined around 1440 AD. Shortly after, it was abandoned. Researchers have previously speculated this could have been the result of droughts, conquests and exhausted soils.